Kathy Matthews, and her husband, Larry Matthews, have been buying houses in Fort Worth, and the surrounding Tarrant County areas for almost 20 years. Together, they have bought over 1000 houses in the Fort Worth area! 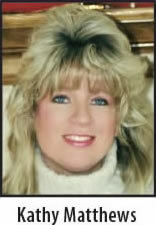 Kathy grew up in Fort Worth and graduated from Texas Christian University. Kathy is a business women with a family and understand the stress of life. When the family is forced into a circumstance that hinders on a daily concern, it is hard to function and get things done. There are many examples of a dilemma this magnitude although when it is concerning a house, Kathy Buys Houses , is eager to help eliminate this burden. Kathy knows the Tarrant County real estate market extremely well. Kathy Buys Houses specializes in buying "as-is" houses, for ALL CASH in 5 DAYS. NO CLOSING COSTS, NO COMMISSIONS, AND BEST OF ALL--NO HASSLES! 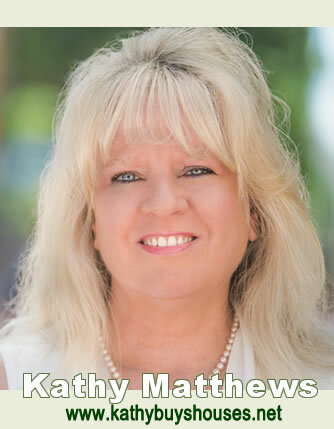 Put Kathy's extensive real estate knowledge to work for you today! If you have an "as-is" house that you need to sell quickly contact KATHY BUYS HOUSES or call right now at 817-838-8995! - No Realtors! - No repairs! - No inspections! Just a fast and easy close in 5 DAYS!